If you’re looking to amp up your partying game in South Goa, Aqua is where you should be heading. And you thought only North Goa partied. 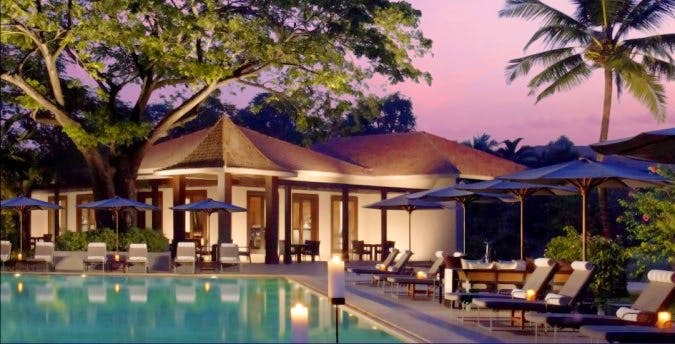 A nightclub with a dance floor that can accommodate hundred people at a go, Aqua at The Leela in Cavelossim should be your next night haunt when you’re in Goa. If you’re hopping through serene spots in South Goa and want to sneak in a night of partying, Aqua is a good spot to hit before hitting the bed. Bummer that it’s only open to resident guests, you could sneak in if you’re smart enough. After all, their restaurants are open to all.